Bombertech Firefly RDA Review - Daily Vaping Deals & The Best Vape Product Reviews at Vaping Cheap! Smaller atomizers have always been quite popular as many vapers love the compact form factor, and the excellent flavor that can come with a smaller atomizer. The issue with some smaller atomizers was the fact that it did not hold a ton of e-liquid, and you had to re-drip quite often. Now that squonking have become more mainstream, there have been more and more atomizers being released with squonking 510 pins, and the issue of having to re-drip often was solved, especially with smaller atomizers. Bombertech has entered the market with their new Firefly RDA, which sports a compact and unique design, and best of all includes a squonk 510 pin. Before getting any further, I would like to thank Bombertech for sending this atomizer my way for the purposes of this review. I will go over my first impressions, building and wicking, performance, pros and cons, and conclude with whether or not I recommend the Firefly RDA! Check out the Bombertech Firefly RDA Here! Click Here to Check out the Bombertech Firefly RDA! When I received the Bombertech Firefly RDA, what I noticed first was the unique packaging. The packaging itself is quite small, and to open it, all you need to do is unscrew the top portion. I do really like this type of packaging, it’s a nice change to all of the similar packaging we typically see with a lot of atomizers on the market today. It’s something small to look at, but I always take notice when a company does something different than the competition. Upon opening the packaging, you are greeted with the Firefly RDA, and a ton of extras. Included in the packaging you do receive a squonk 510 pin, 2 extra drip tips in different colors, spare o-rings and spare screws. When I first saw the Bombertech Firefly RDA, I was surprised by small the RDA actually was. This atomizer does come with an Ultem top cap, which have become extremely popular lately, and I see more and more companies either offering Ultem Accessories or just including them with the atomizer. I do like the Ultem top cap, and I think it looks great with this atomizer. However, this is subjective of course, and some vapers may not like it. The Firefly RDA does come pre-installed with the standard 510 pin, and the squonk 510 pin is located in the bag with the rest of the spares. 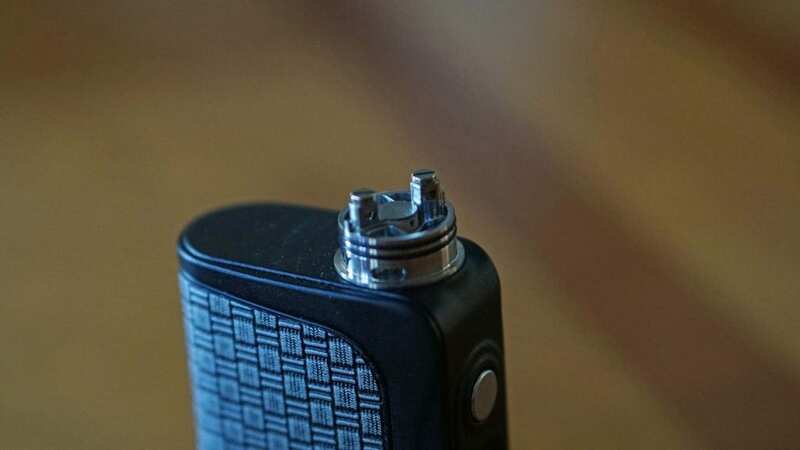 Something to note right away is that there is no peek insulator on the squonk 510 pin, so if you do want to use this 510 pin, be sure that you take off the peek insulator from the standard 510 pin and put it onto the squonk 510 pin and then install it. This is very crucial, so make sure you do this if you do plan on purchasing this atomizer or if you have it already. When first inspecting the Bombertech Firefly RDA I was curious to how the airflow system worked, since it is quite different. By looking at it, it seems like the airflow comes in, then goes up and then hits your coils. I was certainly interested to see how the flavor would be. The deck was also different, it is a 2 post build deck, but the way you would install coils seemed to be a hassle, which is something we’ll get into later on into the review. I do want to mention right away that this RDA supports single coil builds only, so if you prefer dual coils, then this atomizer may not be for you. The 2 extra extra drip tips that are included with the Bombertech Firefly RDA fit into the top cap with no issues, and it does add a some height to it, so you’re lips are not as close when you are vaping. Also, it does close off the bore a bit since they are slightly narrower. It’s certainly a pro in my book that they included these drip tips. Something worth mentioning is that this atomizer did come with a decent amount of machine oil, and I could easily smell it once I held the atomizer in my hands. This is definitely a con in my book. I did have to soak this atomizer in soap water, and wash it a few times before all of the machine oil was gone. All in all, my first impressions of the Bombertech Firefly RDA were mostly positive! Even though it did come with machine oil, it still looked great and came with a ton of extras. In addition, I was a huge fan of the packaging this atomizer came in. As mentioned previously, the Bombertech Firefly RDA does feature a 2 post build deck, but it is quite different. Building on this atomizer is not the easiest since you do have to bend the lead of one side of your coil into the post hole. The first lead that you install is not difficult, it is the other that is much more time consuming due to you having to bend it in. I found that using some pliers would help, especially if you are using thicker builds such as a Clapton or Fused Clapton. The post holes are quite large, so you can fit thicker builds with no issues. However, like mentioned previously, the only issue I found when building on this atomizer is having to bend your lead. It’s not the biggest issue, but I do still think this is a con, and newer vapers who are not experienced with building may have some issues in my opinion. However, experienced builders will probably not have that much of an issue. Once you are finished installing your coil, tightening down is no problem. The screws are flat head, which is a pro in my opinion. I much prefer flat head screws over grub screws or Phillips head screws. This is subjective, but it is something worth mentioning. Wicking this RDA is extremely easy, and there is a good amount of room for cotton in the wicking channels. 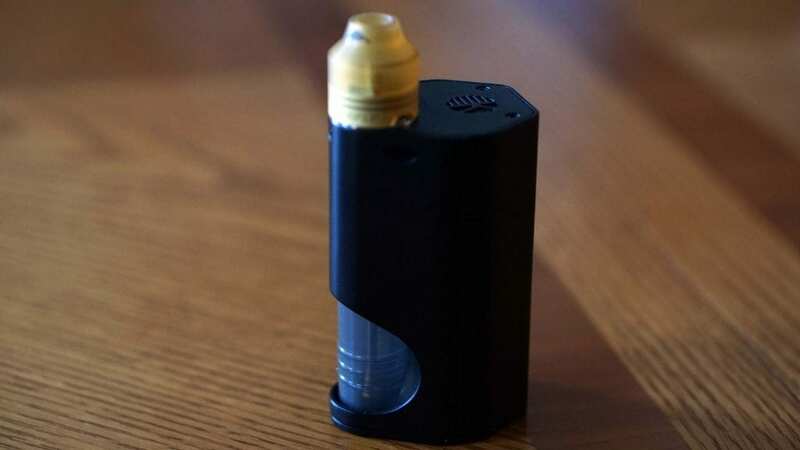 If you do plan on using this atomizer on a squonker box mod, be sure that you do not put too much wick since the holes where your e-liquid would come out of when you squonk is located there. If you pack too much cotton, then you can possibly clog the holes, and it wouldn’t squonk as well. I was actually surprised by how much cotton you’re able to fit in the Bombertech Firefly RDA since it is quite tiny. Overall, building on this atomizer is not the easiest, but it’s not the most difficult either. Like mentioned previously, I do think beginners would have an issue with it, but after time it’ll become easier, and advanced users will probably face little to no issues. Wicking this RDA is quite simple, and there is tons of room for cotton. The performance of the Bombertech Firefly RDA was solid! As mentioned previously in this review, it is a single coil only RDA, and my preferred single coil build was a Fused Clapton. The resistance of this build was roughly 0.44 ohm, and I would vape this specific build between 35w and 45w. At this wattage, I got a nice warm and flavorful vape every time! I did try other builds, but I felt that the single Fused Clapton just outperformed other builds I installed such normal round wire builds. They performed just fine, but the flavor and vapor production was just better with a Fused Clapton or even a Clapton build. So if you do decide you want this atomizer, I surely recommend trying out a Fused Clapton before other builds. I primarily used this RDA with the squonk 510 pin, as to me it’s where it truly shines. Even though it is quite small, you can fit a good amount of e-liquid, and take a decent amount of vapes before needing to re-drip or squonk. So, if you’re worried about using this atomizer without the squonk 510 pin, I wouldn’t worry too much since the area of the cotton can hold quite a bit of e-juice. I do want to mention that if you are using the Bombertech Firefly RDA with the squonk 510 pin, be sure that you do not over-squonk, as e-juice will leak out through the airflow holes. This did happen to me a few times, which is not a con since it is my fault, but just something worth mentioning. The same would apply when dripping e-liquid. Something else worth mentioning is that you do have to put the Ultem top cap on a certain way or it will not snap into place properly. There are notches that you line up on the deck itself, and when you line it up and install the top cap, it makes it where you can easily adjust the airflow, and it will stop once fully open or closed. I actually like how this works, because it makes adjusting the airflow extremely easy. Also, it makes taking off this RDA from a device effortless. Speaking about airflow, I was surprised by how much airflow this RDA actually has. It is quite airy when fully open, and there was barely any restriction as well. I personally prefer more restriction, so I would close it off almost half way. The flavor is good when wide open, but it does get slightly better when you do close it off a bit. The airflow is also smooth, which is a pro. I would also say since you are quite close to the coil, the flavor is expected to be quite good. With my preferred coil build, I did experience some spitback, but it was very minimal. It is to be expected though, since Fused Claptons tend to give some type of spitback, and the coil is quite close to your mouth. Also, the top cap did not get hot when vaping at higher wattages which is another huge pro in my opinion. Also, I didn’t find the need to use the extra drip tips that were included, since I was satisfied with the top cap with how it was. The vapor production is also very good, but you won’t be getting massive amounts of clouds since it is a single coil RDA, and there isn’t massive amounts of airflow. You still get good vapor production, but if you’re into cloud chasing then the Bombertech Firefly RDA probably won’t satisfy your needs. All in all, the performance of the Firefly RDA was great. The flavor was solid, and you still got great vapor production. In addition, the airflow was nice and smooth, but be mindful when squonking or dripping as you can experience leaking. In conclusion, Bombertech Firefly RDA is a solid performing compact RDA. Like mentioned previously, I heavily preferred using this atomizer with the squonk 510 pin, and I was certainly glad it came with one. The overall design of this RDA is great, and the flavor and vapor production is excellent especially considering its size and only being a single coil RDA. A lot of single coil atomizers have been coming out lately, and I think it’s a great trend as more and more vapers are starting to enjoy it more, especially with Clapton builds. With single coil atomizers you’ll get great battery life, and won’t consume as much e-liquid in comparison to a dual coil atomizer. There were a few cons to the Firefly RDA, but honestly none of them were deal breakers for me. 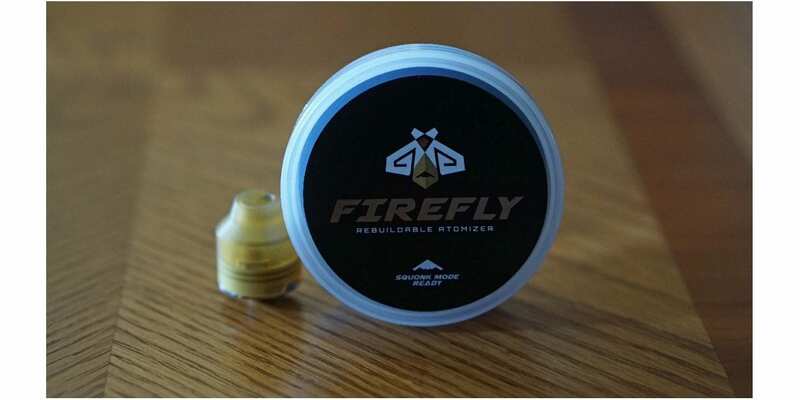 I think vapers who enjoy single coil atomizers, or those interested in a single coil RDA will not be disappointed with the Firefly. All in all, if you interested in a compact single coil RDA that includes a squonk 510 pin, then I can highly recommend the Bombertech Firefly RDA.